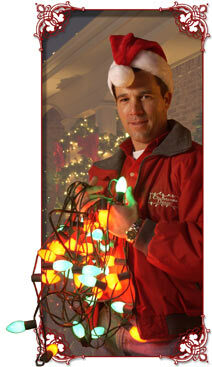 Christmas Decor by Cowleys has been providing professionals holiday and Christmas light displays in New Jersey since . Today, we serve more than 40,000 residential and commercial customers in 48 states and Canada. As the pioneers of the holiday and event decorating industry, we have developed a program that is "consumer friendly"--which gives you a variety of decorating options for your home or business and the ability to add on over time. We also offer complete take-down service for your convenience! Each designer is trained in the latest design techniques, so your home will look its best during the holidays! Professional installers know how much your home means to you--they use property-friendly installation methods and use extreme care to take care of what is yours. We strive to be professional at every level, right down to the products we use. Each product is manufactured to Christmas Decor by Cowleys standards. This means longer-life bulbs, full, lush greenery, UL rated wire and heavy-duty components. We leave no stone unturned!. "We were tired of throwing breakers, and our lights were a safety hazard. The people at Christmas Decor know what they are doing, and everything looks great!"